Learn more about each model in our line-up. Porsche of Ann Arbor is setting a new standard for Porsche dealerships in the midwest. 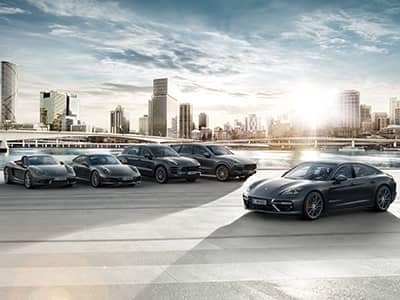 Having been awarded three consecutive Porsche Premier Dealer Awards in 2016, 2017, and now 2018, Porsche of Ann Arbor is the clear choice for Michigan Porsche enthusiasts. Phil and Nick in service were great! They repaired my 2015 911 turbo which had a vibration issue that two other local dealers could not fix. Top notch customer service. I would recommend this service team to get your car fixed right the first time. I have a Panamera 4S and it's a wonderful car but it's needed some front suspension work partly due to a pothole hit and partly due to some control arm bushings being quick to fail. Phil Kaiser has been great to work with as we did the pothole work and an alignment, then found the upper control arm on the same side had an issue, then found the upper on the other side also had an issue. Three repairs and three alignments, no cost to me, and the car is GREAT to drive. Suspension issues are very hard to diagnose because I've worked for Phil's team with my Audi wagons for years and they have been excellent throughout. It is a pleasure to visit the dealer knowing that the people are nice and the work is done right. Phil does not know it but he's is a little famous around town. I've had people ask me if I know him while out to dinner in Chicago! High praise for a dealer service tech. I have had Porsche drivers at stop lights mention Phil's name when we started talking. I tell all the Porsche folks in Plymouth to go to Germain and talk to Phil. Also, Howard Cooper told me a couple of years ago that Danny in back is the best Porsche / Audi mechanic in the country. Nice! 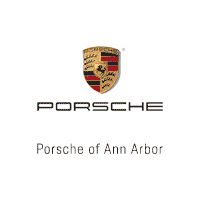 Do not waste time with Porsche in Farmington Hills (bad experience with an Audi) -- Germain in Ann Arbor is what everyone is looking for. Purchased my 2010 Panamera from Germain and have continued to get it serviced there, Notwithstanding, we live over 30 miles away, the car is picked up and a loaner is always provided. I appreciate the genuine care given to satisfactorily resolving a variety service issues. We have a 2011 Cayenne and have always been pleased with the service department, especially with Phil Kaiser’s friendly approach and informed advice. Most recently Phil worked directly with Porsche Corporate to find the best solution for what was an unexpected malfunction. The car now is as good as new and the whole experience was minimally disruptive.